JandyStrong helping Jake in his recovery! On September 27, 2014, Jake Anderson was in a diving accident in Madison, Wisconsin. He broke his neck and severely injured his spinal cord, leaving him paralyzed quadriplegic. Jake turns 22 on September 2, 2016, as he approaches the two year anniversary of his injury. Early-on there was much focus on Jake’s health, early stages of recovery, and adapting to a new lifestyle. Jake and the Anderson family have been blessed with an outpouring of love and support from family and friends these past two years. More recently Jake’s focus has been on getting back to school, working, and continuing rehabilitation therapy and adaptive strength and fitness workouts. Last year Jake returned to school studying Mechanical Engineering both online through the University of WI and on campus at the University of MN. He also continued working part-time for Breakaway Academy in the classroom as a Teacher’s Assistant helping teach Math to middle school aged kids. This summer Jake moved to Denver, CO to work as a summer intern at Arrow Electronics in their Applications Engineering department. He also works out twice a week at Project Walk in Denver, continuing his adaptive fitness and rehabilitation therapy. Two of Jake’s big milestones since his injury involved moving back home, and then moving to Denver. So many people volunteered their time and expertise to help the Anderson’s modify their home to make wheelchair accessible space for Jake, and it has been working out great for him. The move to Denver has had its challenges, but again, it is working out very well and Jake loves the summer internship job. They are doing some really cool innovative things at Arrow Electronics. Jake and others with injuries causing paralysis are in need of extensive medical care, assistance with daily activities and transportation, adaptive equipment, and physical therapy. We ask that you continue to support Jake and others in his situation. 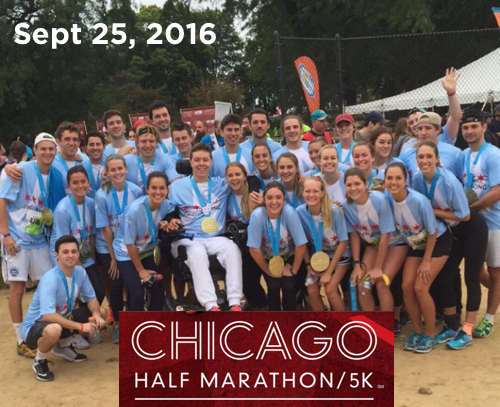 Jake’s friends are rallying again this year to participate in the Chicago Half Marathon. Last year was a huge success and a lot of fun. 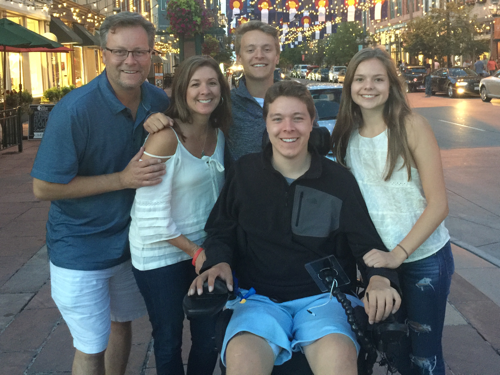 This year Jake and friends are raising money for Jake’s needs, as well as, an organization called GUSU – Get Up Stand Up to Cure Paralysis. Funds raised for GUSU will go directly toward spinal cord injury research aimed at finding a cure for paralysis. Check out the Chicago Half Marathon link at the top of this page, and please consider making a donation to help Jake and GUSU. The Anderson Family appreciates your continued support. JandyStrong.com is NOT a 501(c)(3) charity. It is a trust set up to collect donations for Jake's recovery, assistance and rehabilitation expenses. These donations are NOT tax-deductible.